Welcome to Vail's Hearing Aids, Inc. In 1981, Mark Vail began his career in the hearing healthcare field by building hearing devices for a new hearing aid manufacturing company Finetone in Gorham, Maine. 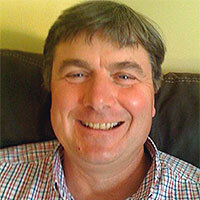 With passion and drive, Mark worked his way up to become the director of the company. Mark has an interest in all aspects of hearing healthcare. In 1985, he earned his license to be a hearing aid dispenser. 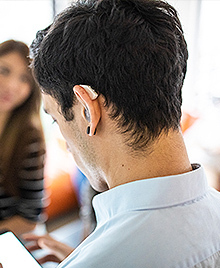 When Mark began fitting people with hearing devices and seeing how it changed their lives, it had a profound effect on him. Since then, he has been committed to providing the best quality care to every one of his patients, from young adults to seniors. Mark started Vail’s Hearing Aids in 2002 with a strong emphasis on helping those who may not be able to make it into an office. Vail’s Hearing specializes in providing the high-quality healthcare you would receive in an office, right at your own home. This in-home fitting is exceptional because this is where the patient spends most of their time. He is able to give screenings, fittings, and even do repairs on location. Because of Mark’s background in hearing aid manufacturing, he understands and is always up-to-date with the latest technology. During his in-home visits, he is able to fit hearing aids to your specific environment. He is able to make sure your devices are functioning effectively with your telephone, television, and other home technology. From listening to music to making phone calls, learn about how you can use Bluetooth technology to get the most out of your hearing aids! With the annual holiday party approaching, it's important to consider the people in your life who have hearing loss. In this blog post, we cover some valuable tips for both listeners and speakers that may come in handy this holiday season. Regardless of age, occupation or gender everyone can benefit from clear communication and healthy hearing. Check out this article, crafted to celebrate Better Hearing and Speech Month. In August 2017, a law was passed that allows FDA-regulated hearing aids to be sold over the counter instead of by a trained hearing healthcare professional. © 2019 Vail's Hearing Aids, Inc.
Changing lives for over 30 years!